Frankly, the last few years has been a time when packaged tours, for the most part, are by far more favorable for many people than independent travel to Egypt. In fact, the main reason that most people would wish to visit Egypt independently is simply for the freedom of scheduling, unless they are very, very familiar with Egypt. We at Tour Egypt have often promoted independent travel to Egypt, and we will continue to do so. Particularly for well-informed and experienced travelers, an independent trip to Egypt can be fun and fulfilling. But for many visitors, this is not the best way to visit, and for many more, it will certainly not be the least expensive means to view the country. 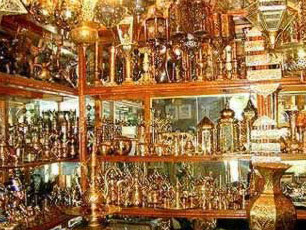 For the first or second time visitor to Egypt, a guided package tour will work much more satisfactory. There are several reasons for this. A number of readers have been emailing us in order to make rather complex arrangements for travel to Egypt. Independently, they are often attempting to include other areas such as the Holy Land, as well as various European destinations as part of their itinerary. That is all fine and good, and tour companies do this all the time, but it can get very tricky, as well as costly for a private individual. The typical thinking is that tour companies must charge a profit for their services, and hence, traveling independently saves that money which would otherwise end up in the tour operator's hands. In many, if not most cases, this is an incorrect assumption. 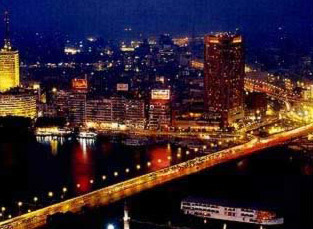 Most of the tour and travel companies bringing tourists to Egypt receive deep discounts from both airlines and hotels. Often, they may pay as little as half of the going rate for such services. This is due to the number of bookings they make, which entitles them to "wholesale" discounts. Package pricing varies among tour and travel operators, but it is safe to say that in some instances, a percentage of this savings is passed on to tourists, making the trip cheaper than they could have arranged it themselves. In fact, recently travel companies have been making some fantastic deals with hotels, particularly on the Red Sea and in the Sinai, but elsewhere as well. We know of instances where, particularly involving large European charter services, the price paid for hotel rooms in some areas is but a fraction of the normal rate. It is not unheard of currently for some of these large agencies to pay as little as four or five US dollars per night for rooms. Otherwise, some airlines and particularly Egypt Air, are also providing tour organizations with deep discount from Europe, the United States and Canada, and elsewhere. Because of the competitive nature of travel to Egypt, many travel companies are passing these discount completely to the tourist. Hence, for example, we have seen many travel deals where offers are being made for ten days or more in Egypt for little more (if any) than what an independent traveler would pay for the air alone. Once inside Egypt, independent travelers must always arrange to visit the antiquity sites that they are interested in seeing. This can be done in one of two ways; either by going it alone completely and only hiring transport to the antiquity sites, or by joining a day tour. Day tours can be arranged from most any hotel in Egypt, those the quality and pricing on these may vary considerably. Particularly from the standpoint of an inexperienced traveler, hiring the transport to sites can end up being as expensive or more so than a day tour. In either case, if one wishes to visit a number of antiquity sites throughout Egypt, day tours or transport can easily add up to more than the cost of a packaged tour. On top of that, making all these arrangements can take time out of the trip. One can easily find oneself spending several weeks in Egypt, but using several full days to make independent arrangements for various day tours or transport. Overall, it it likely that, given the same period of time, one may end up seeing only half the sites that an efficiently run tour would visit. Aggravating this situation is the fact that many independent arrangements cannot currently be made prior to arrival in Egypt. Certainly one may arrange day tours prior to the trip, but transportation to certain locations can be a real problem. Trains, busses and Red Sea ferries, and of course taxis, are very difficult to book from outside of Egypt. Tour and travel companies receive no commission for simply booking a train, bus or ferry so about the only way for the independent traveler to make these types of transportation arrangements is to do so after arrival. Tour operators often provide somewhat of a shield for inexperienced travelers from hawkers and other potential tourist snags, as well as good advice on many aspects of the visit, such as help with visas, entertainment beyond the tour, places to shop, help with taxis and more. 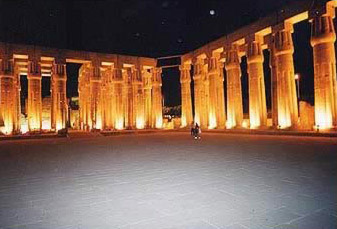 In some highly tourist-oriented areas such as Luxor (ancient Thebes), this assistance can be invaluable. Another aspect of packaged tours is simply the company of others. Traveling far away from home can be somewhat lonely, even for couples. Planned tours bring together people, usually of the same nationality, and very often, with similar interests and can make a distant trip much more enjoyable. In fact, we have seen that people in these tour groups often become long term friends, and even return to Egypt together. Finally, even for some experienced travelers, there are times when only a good tour or travel operator will be able to efficiently make certain arrangements. For example, certain areas of Egypt, including some major antiquity sites such as Abydos, require a special permit that must be arranged days in advance of the visit. Even if one is a highly experienced traveler, where to go and how to get these permits would end up being not only a problem, but a time consuming one as well. In addition, tour and travel companies often offer opportunities which independent travelers will never get, such as lectures or visits by famous Egyptologists or special entertainment (one tour company arranged dinner for its guests inside the Temple of Luxor). One possibility for many travelers is to essentially combine a packaged tour with independent travel. This can work out well for many. Essentially, this might include a shorter packaged tour combined with some independent time. Ideally for a relatively inexperienced traveler to Egypt, this might include a packaged tour to areas outside of Cairo such as Luxor, Aswan and the Sinai, with perhaps an initial visit to the sites around Cairo such as the pyramids, followed by some independent time in Cairo for additional sightseeing, shopping and cultural activities. 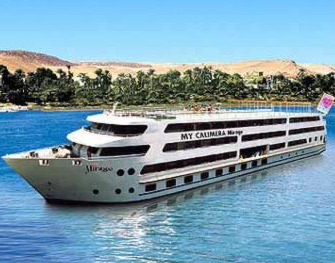 For the slightly more adventurous, it might simply involve a Nile cruise to visit southern Egypt (Luxor, Aswan and some of the temples north of Luxor) followed by independent visits to sites in and around Cairo. For the most part, the independent segment of the trip should occur at the end of the tour, giving one a chance to become a little familiar with the culture prior to setting out on their own. We love this type of arrangement. 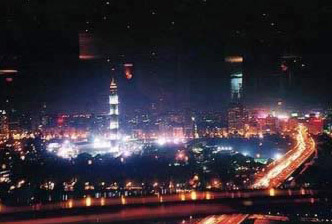 Frankly, most people who have the chance to get out and about in Cairo will end up loving the city, and will wish that they had time to see and experience more of this grand metropolis. Alternatively, and particularly for Europeans who can take advantage of very inexpensive packaged tours to the Red Sea coast and to the Sinai, many visitors may take from there independent "day tours" to Cairo or Luxor. However, because many of these use charter flights, one may be limited to a very specific period of time. There are several advantages to hybrid travel. First of all, and perhaps foremost is cost. One may take advantage of the cost savings in air travel, transportation and tours provided by tour operators, while at the same time fulfilling their desire to have some independent time away from the tour. One frequent problem with packaged tours is that they are arranged to make the most out of your visit. The schedule can be, at times, exhausting. It should be remembered that, in many cases, one need not make every tour of every monument every day. In my personal travels to Egypt, and I frequently "tag" along on these arranged tours for the very reasons I have already mentioned, I often encounter members of the tour group who choose to stay behind during a morning or afternoon segment simply to sit around the hotel pool and catch their breath. Alternatively, they may take that time to see a little sightseeing of their own or do some independent shopping. So don't let the pace of the tour overcome the enjoyment of the trip. Furthermore, for those with the means (financial) to do so, and particularly if their origin is a considerable distance from Egypt (such as the US), consider arriving in Egypt a few days earlier than the arranged tour. Usually this can be arranged by the tour operator, but if not, it will simply require one to take a taxi from the airport to the hotel where the tour will originate and reserving a room there for a day or two earlier. The reason for this is that many packaged tours really give very little time for the traveler to recover from jet lag. In fact, most packages would allow only a nights sleep, if even that before setting out on the tour. For the very young, this may be fine, and is certainly the most efficient way to see as much of the country as possible for the least cost. However, for those of us who are a little older, I have found that I need a day to recover from what for me, including layovers from the US, is a twenty-four hour flight (though only about twelve hours on Egypt Air direct from New York). Consideration for this initial period of "rest time" might also involve how well one is able to sleep on an airplane, as well as the accommodations (it is far easier to sleep in first class as opposed to tourist class). Obviously, for many Europeans for which Egypt is only about a four hour flight, such arrangements are not necessary. 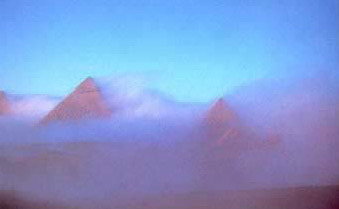 In reality, most successful independent travelers to Egypt have made prior visits to the country. Often, they are not intent on seeing a wide range of antiquity sites throughout Egypt, but are rather focusing on specific sites. In many other instances, they may not be that interested in antiquities at all, taking instead beach vacations, or experiencing the culture of Cairo. For those wishing to travel to Egypt independently, the material presented in Tour Egypt will enable you to do so, but this material must be studied thoroughly. Without question, one of the best resource anywhere, under any circumstances, is our own conferencing system (message board). There, one finds Egyptians, people who love Egypt, ex-pats living in Egypt, and a number of people who travel to Egypt very frequently. "Hanging out" in the conference system and learning from these people is a great, and for someone not experienced in Egyptian travel, an absolute necessity for successful independent travel to Egypt, and of course it is even beneficial for someone taking a packaged tour. I personally love traveling to Egypt independently, and I always enjoy myself. Yet indeed, I mentioned earlier, even I frequently tag along with a tour when outside of Cairo, frankly, both to save money and to enjoy the company of others. But, no matter how one chooses to see Egypt, please do go and have fun, as there is no more fabulous place on earth.